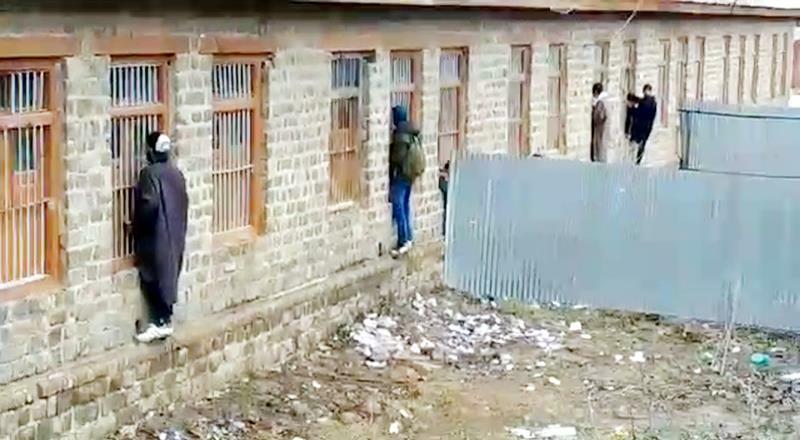 SRINAGAR: Scores of youth were seen peeping through windows passing relevant material to the students of Class 10th who were appearing in Bi-Annual examinations at Government Higher Secondary School Handwara in North Kashmir's Kupwara district. The youth were seen climbing the walls and windows to pass over the question paper relevant material to the students appearing in exams here in Handwara Higher Secondary School. The copying took place in Centre numbers 510 and 511 at Boys Higher Secondary School Handwara. "We have received a complaint in this regard I sent Deputy CEO on spot to collect the details. We will take action," CEO Kupwara Shafi Nabi War said.